Dyntell’s end-to-end platform is built to eliminate the barriers between users and their data so they can make smarter, faster data-driven decisions. 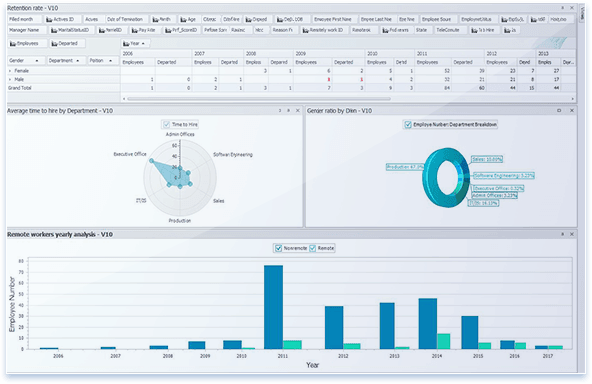 Ops managers use Dyntell Bi to run their business. A well oiled machine. That’s the goal. With so many moving parts in ops and logistics, this can seem difficult if not impossible. Meet Dyntell Bi, your new business multi-tool. 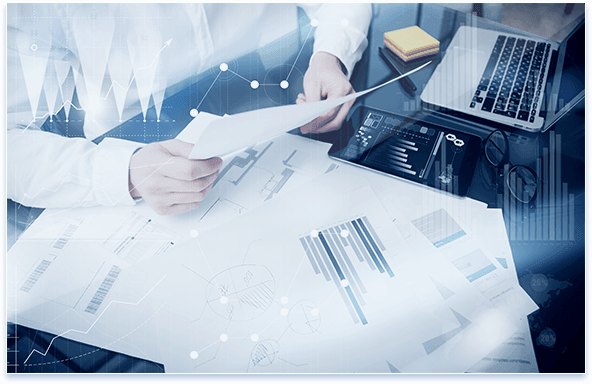 Our visualizations, analyses and prediction models can help you manage your business smoothly and profitably. With a real-time picture of where you’re spending money, where you’re making money and where you’re losing money, Dyntell Bi helps drive productivity. The sleek interface is easy to use. You can pull from multiple data sources to visualize the big picture, then drill down to the most detailed data with precise, dynamic analytics. 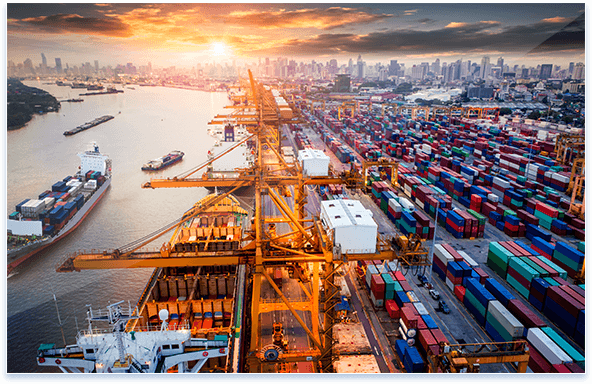 You can reduce costs, compare suppliers by any type of metric, identify warehousing inefficiencies, achieve better worker performance, and more. You can share stunning dashboards with your teams and customers for great insights, compliance records and total transparency. And finally, our robust prediction capabilities mean that you can also see the future with amazing clarity, starting today. Executive managers use Dyntell Bi to build their business. Get the most accurate picture of your business in real time. With stunning visualizations in the format of your choosing, you can finally see your data come to life, even as you’re collecting it. 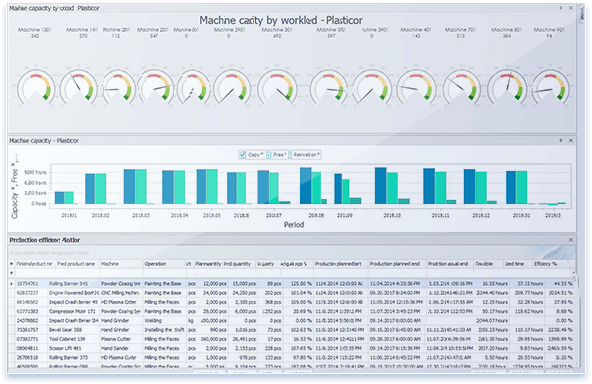 Then you can analyze productivity by looking closer at sales, inventory, personnel or other metrics. Go as deep as you’d like into the data to discover real business–and mind–changing insights. Then use our proven prediction modeling tools to look ahead to next month, next quarter or next year. Dyntell Bi was built with your specific needs in mind. Once you’ve done the visualizing, analyzing and predicting, we make it simple to share these beautiful charts with your internal or external teams in stunning dashboards. You’ll generate insights that weren’t visible before. You’ll see trends materializing and seize the opportunities. 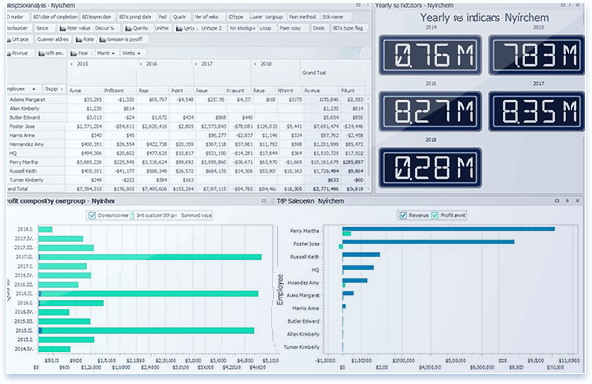 With Dyntell Bi, you can turn your wealth of data into a wealth of actionable knowledge. 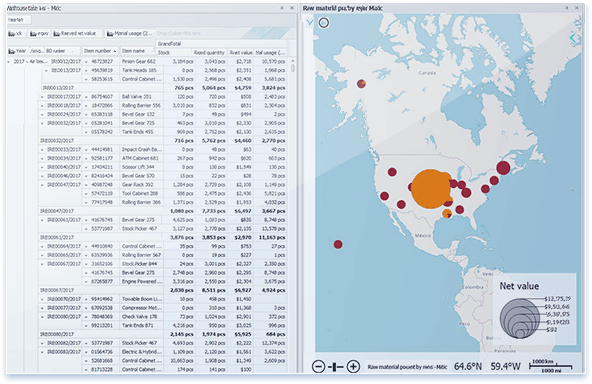 See how Dyntell Bi is helping departments like yours succeed. Sales managers use Dyntell Bi to increase revenue. 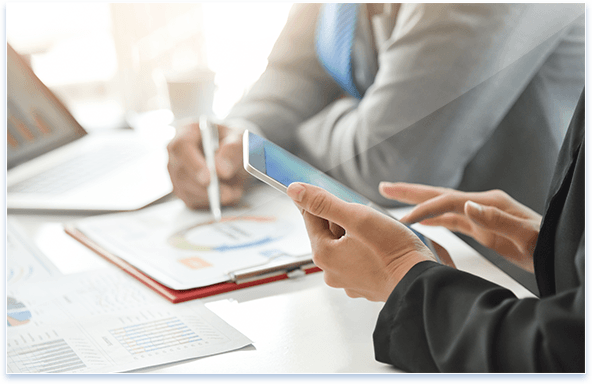 Take control of your sales goals with a solution that helps you visualize and analyze your data, then make accurate predictions so you can prepare for the future. With Dyntell Bi, you can leverage your CRM or other powerful databases to turn your raw numbers into gold. Use our variety of engaging presentation-perfect charts for crystal clear visualizations. Then the fun begins. You can analyze further by hovering over segments to get more detailed information and discover insights that were hiding in the sheer volume of numbers. Then instantly compile your sales dashboards in one place for the big view to share with your teams. Dyntell Bi is built to boost sales. Whether you want to analyze sales calls or look at sales by region, store, brand, product, salesperson or a combination of any of these, you’ll be amazed at how translating your numbers into visuals will open your eyes. You’ll see exactly what’s working in the buying cycle and what’s not. You’ll find the blind spots that may be holding you back with sales or customers. You’ll envision the future so you can ready your inventory and staffing to meet it. You’ll make your data come alive. Marketing professionals use Dyntell Bi to wow their customers. Marketing ain’t what it used to be. 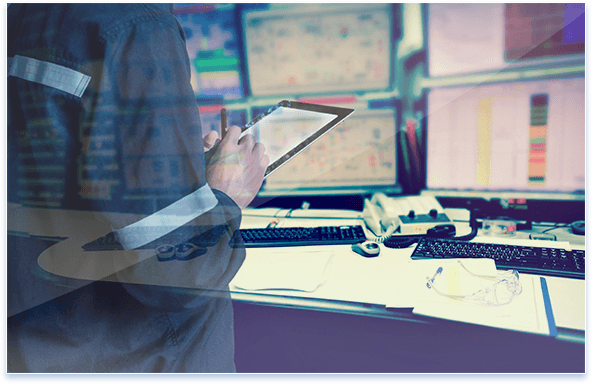 In addition to tracking your offline communications, you’re responsible for the myriad of increasing online customer touchpoints, all generating real-time data at break-neck rates. Enter Dyntell Bi. Our powerful algorithms will make quick and impressive work of all of your campaign data, funneling SEO, social media marketing, PPC and all marketing channels into one stunning dashboard, where you can mince and manipulate the numbers to discover insights to help you make your customers more than happy. Move your customers from where they are now to “Wow!” When you understand how best to engage them, you can build real loyalty and really move your sales needle. 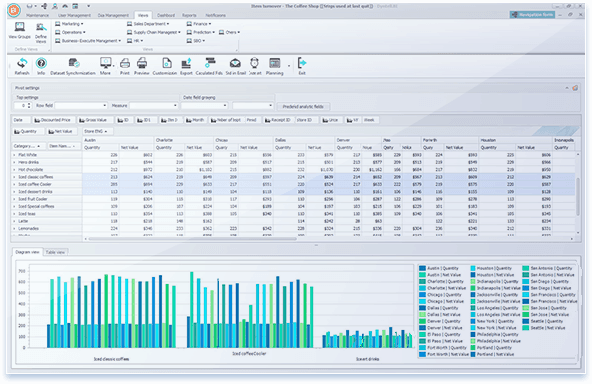 Supply chain managers use Dyntell Bi to optimize the flow. From managing inventory to coordinating deliveries to handling all the paperwork in between, supply chain management can be a messy business, and the sheer volume of data can make your head spin. With Dyntell Bi, you can take the birds eye view of the flow. With a clearer vision, you can spot inefficiencies and opportunities. Your data will deliver answers to the most pressing questions. How do you warehouse the optimal amount of inventory? Can your routes get faster and smarter? How about deliveries? With Dyntell Bi, you can share eye-opening insights with your suppliers and your internal team to make the whole chain stronger. Use our beautiful visualizations to make your data come alive. Leverage analytical algorithms that extract outliers and crystallize numbers that were buried before. Tap our reliable prediction modeling to see further down the pipeline. Get to the next level of supply chain management. 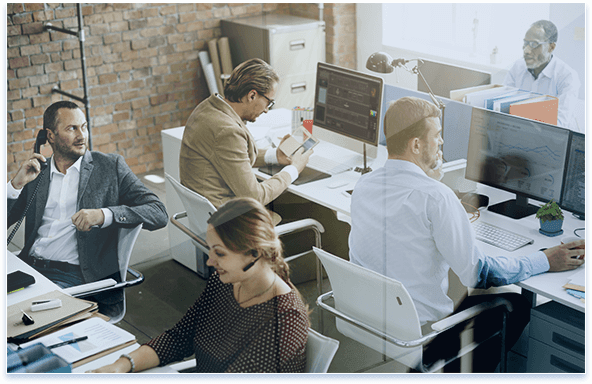 HR professionals use Dyntell Bi to hire and keep the best. 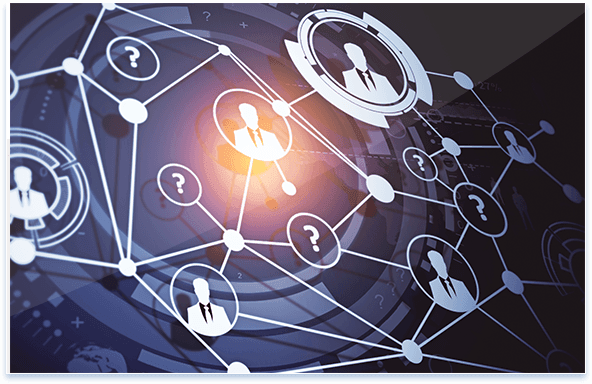 Data on your hiring process and employee retention rates is a treasure trove of information. 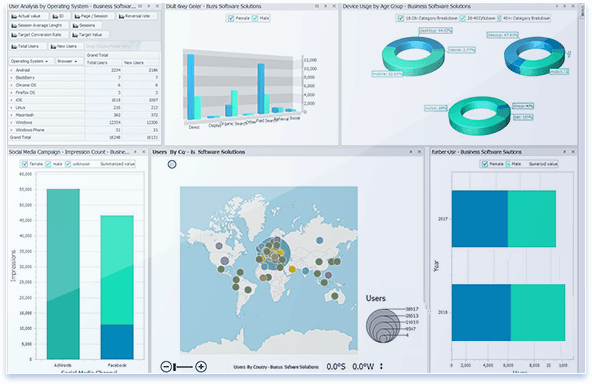 Take it to the next level wth dashboards from Dyntell Bi. Our crystal clear visualizations let you do deep dives to find problems and opportunities that get lost in the waves of raw numbers. In addition to visualizing and analyzing, you can also predict trends so that you’re prepared for what’s next. With Dyntell Bi, you can take control of the hiring process. Since new hires cost more than valued employees, it’s important to understand what motivates people to stay — or causes them to leave. By tracking your employee turnover rate, you’ll be able to improve it. You can also reduce your time to hire and up your efficiency. And, you can stay competitive by tracking competitors’ salaries against your own. 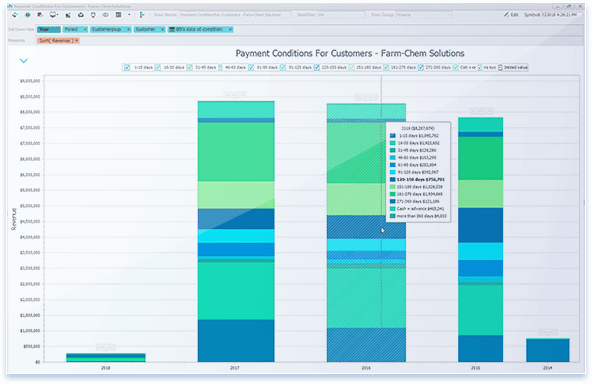 Dyntell Bi makes your data come alive by showing the interplay between hours, tasks and productivity on a stunning dashboard of visualizations. You also oversee compliancies as well as wellness programs and benefits. Can you data do this now? With Dyntell Bi it will. Customer service managers use Dyntell Bi to rock their CRM. You’re taking advantage of your CRM tools. You’re tracking leads throughout the pipeline and moving them along. But could you be doing more? Dyntell Bi can turn those leads into loyal customers by helping you see what’s happening as the customers move from one touchpoint to the next. Use our powerful visualizations to see where you can shorten cases, have the right personnel ready and give the customer an all-around great experience. 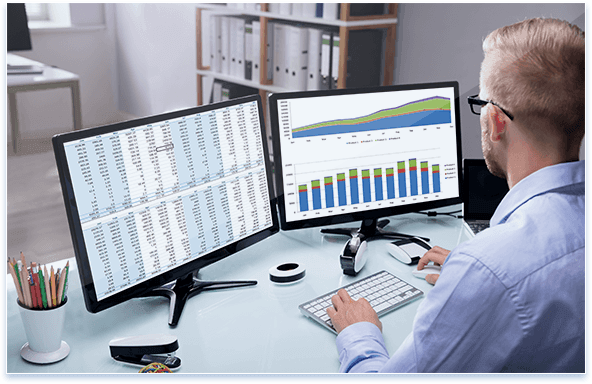 With our colorful analytic dashboards, you can oversee the entire department with mind-blowing detail. Which call-center has lower than average net promoter scores? Who handles their tickets efficiently? Where can you improve the customer experience? Answer these questions and more. 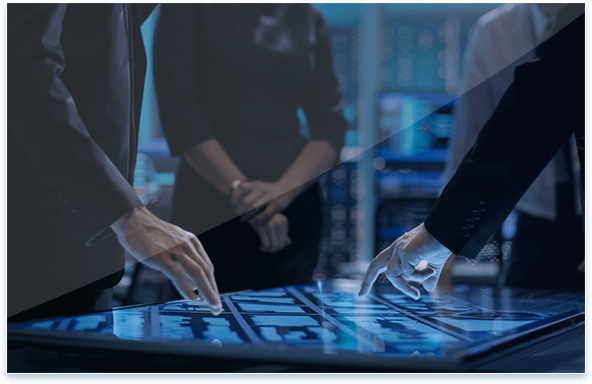 And leverage our proprietary prediction capabilities to keep your staffing and other resources at the ready so you can wow your customers again and again. 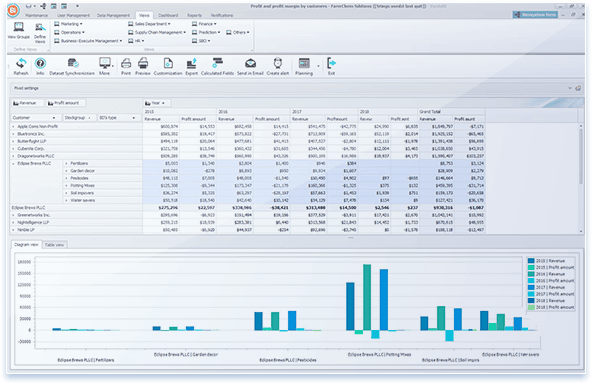 Finance professionals uses Dyntell Bi to power productivity. Why waste time collecting and crunching numbers when you can let them do the work for you? Take your databases and turn them into profit centers. By creating smart visualizations of the processes across the enterprise, you can identify the opportunities and ways to save time: Pinpoint product money makers and money losers, discover ways to increase your profit margin and determine when your new location will be profitable. Not only can you visualize and analyze this data, but you can also use our powerful algorithms to determine future productivity. So you can confidently say where the business is heading in the next six months, year, or more. 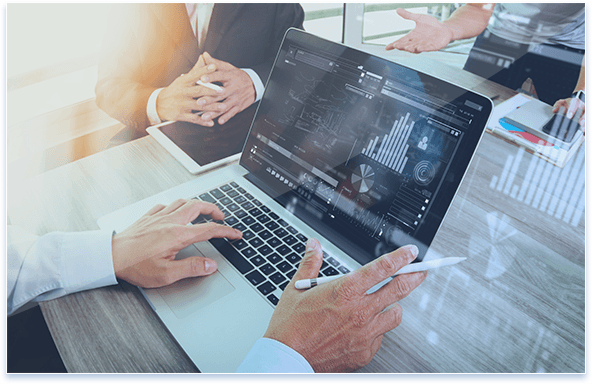 Compile your visualizations in a persuasive dashboard to share with executives so that you can make the bigger decisions with ease. Dig deep into the data to answer the bigger questions. Take your bigger data and make bigger insights. It’s all right here. IT professionals use Dyntell Bi to make all jobs easier. You live and die by the numbers. 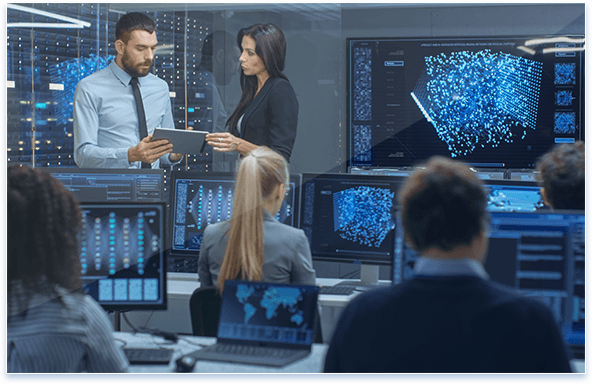 Monitoring software and hardware performance, tracking tickets, overseeing a budget–all of these require constant vigilance and data management. 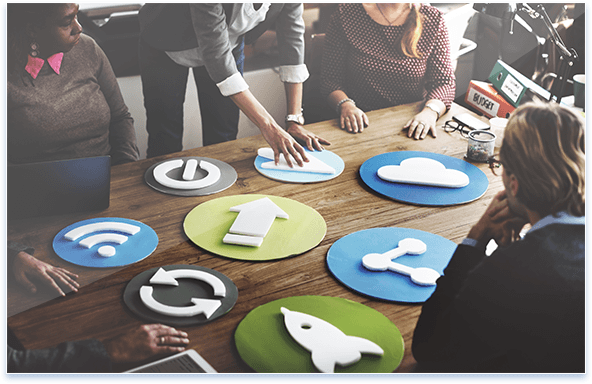 You know best of all how technology can turn so many manual tasks into simple, accurate and repeatable processes, streamlining your jobs and those around you. Dyntell Bi is built to do just that. Our software takes your reams of data and translates them into actionable insights, manifested in charts in every form you can imagine. You can use our analytics to drill down and find out why the servers are becoming more inefficient or the ticket response time is growing. With these powerful visualizations, you can look deeper into any type of data, from many different datasources. You’ll have total control over security and permissions throughout the enterprise. It’s completely scalable. And you can create and share dashboards that instantly provide the big picture. Even better, you can use our proprietary prediction tools to determine how to allocate future resources and personnel down the line. It’s your data. Make it work for you. Data analysts use Dyntell Bi to elevate the numbers. If you love numbers, this is where it gets good. 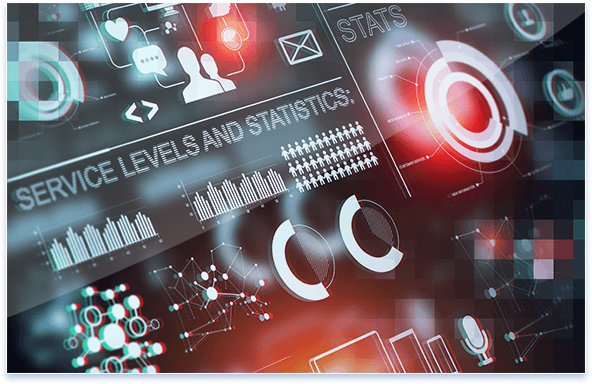 You can connect multiple data sources, including big and smart data, and make your numbers truly come alive. It’s simple to extract, transform, clean and load data. It’s a cinch to scale. It also plays very well with other programs. But best of all, it will turn your information into pure insight. Crunch numbers all you want. Our powerful algorithms will churn out visualizations any way you want to see them, in a stunning collection of charts and graphs. Simply click on a new format and it will materialize. Then play with the charts to unleash the underlying secrets of the data. Uncover surprising anomalies. Find emerging trends. Discover world-changing ideas. This is what you came for. And if that weren’t enough fun, you can run your numbers now to get accurate predictions for the future. If you love telling stories with numbers, you’ll love Dyntell Bi.